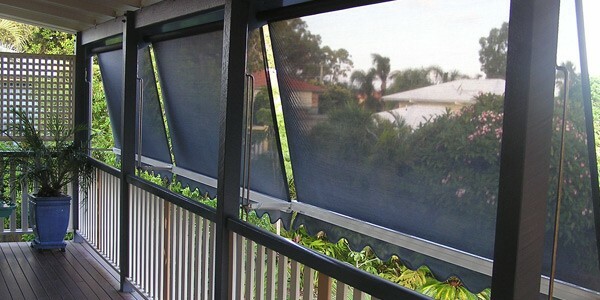 Automatic Fabric Awnings are a traditional window treatment made contemporary with the wide range of block-out, canvas, acrylic and mesh sunscreen fabrics now available to add flair and character to the exterior of any home. 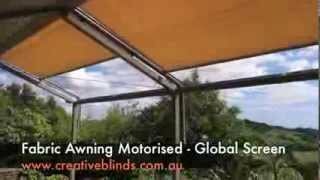 Automatic Fabric Awnings are simple to use, and can be raised and lowered to control the amount of sun and heat entering your home by simply pulling up or down on the bottom bar or pull stick. 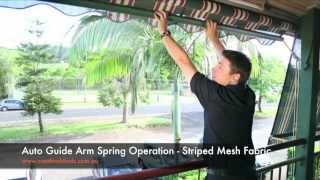 The awnings are attached by arms to fixed wall guides, and glide vertically before locking into the desired position. 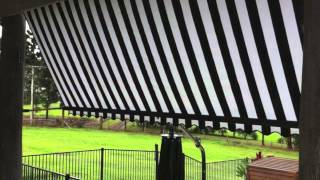 Our fabric awnings have a minimal exterior projection, making them ideal for narrow spaces or balconies. 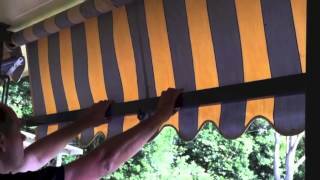 A hood completes the awning by neatly concealing the brackets and top tube, and is available in a variety of colours to complement your home and interior décor. 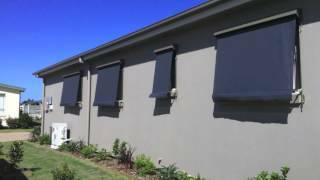 Automatic Fabric Awnings are one of our most popular exterior window treatments, and are an affordable shade and privacy solution that will also help to keep your home cooler during the warmer months. Starting from $740 – Depending on fabric, accessory options and control options. Based on size 1500mm x 1200mm.